A course with lots of variation.15 holes, a couple of them with water that is relatively easy to avoid. A couple of mando holes. A lot of elevation (for the Netherlands). Tee signs, info signs and (small) tees. 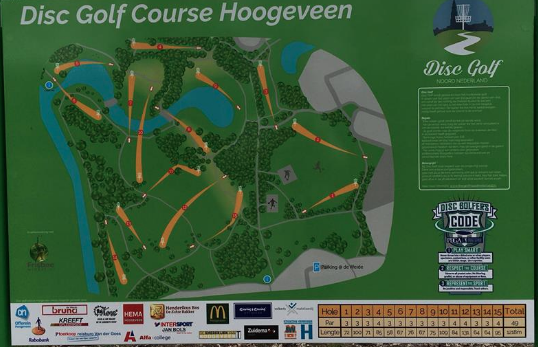 Have you played at Hoogeveen Disc Golf Course at Steenbergerpark? Be the first person to review this course!